Beginner Guitar-A Group Class for the Aspiring Guitarits! Material Fee: Material fee is the price of the coursebook. Guitar rental price is $20 for the course duration. Policies: Registration for the course if final. There are no make-up opportunity if a class is missed. 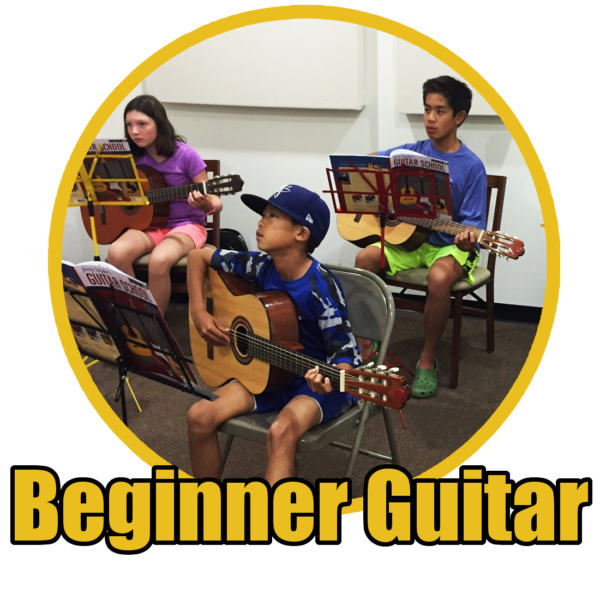 Our beginner guitar class is a two-week course that aims at providing a solid foundation for students who are interested in learning the instrument. In taking the course, students will learn proper left-hand technique that includes thumb placement, the use of fingertips and their placement on the frets. Exercises will be covered to build left-hand finger strength and dexterity. Right hand technique will be covered that includes the proper use of a guitar pick and/or using right-hand fingers to pluck the strings. The class will work out of a course book that introduces students to develop the ability to read music notation for the guitar. From the course book, students will learn what notes are found on each string on how to read them on the staff. Afterwards, students will then apply the notes they have learned to reading simple melodies from the book. 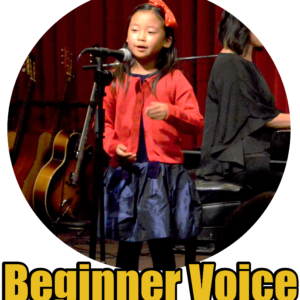 Beginner guitar will also teach students about guitar chords and strumming patterns. Participants will apply the chords covered in class to pop and rock songs, making for a fun and inspiring way to motivate students to learn! Lastly, students will also learn about guitar riffs-commonly played guitar parts that can be used in a variety of music that includes rock and pop! Don’t have a guitar to use for the course? No problem! We have nylon string guitars available to use for the class or for rent to take home. Our guitars are available in different sizes to accommodate big, small, tall or short! 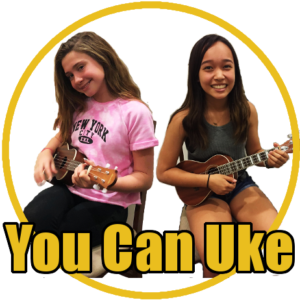 Guitar is an inspiring instrument and our beginner guitar class will help participants build a solid foundation to propel that inspiration forward. 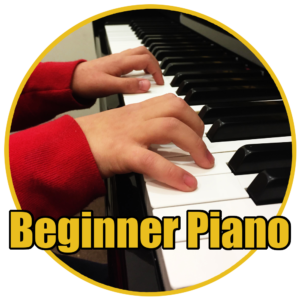 By taking the class, students can expect to be armed with a good knowledge of the basics that can be carried over to private lessons. Class size is kept small with only six slots available-get registered today!